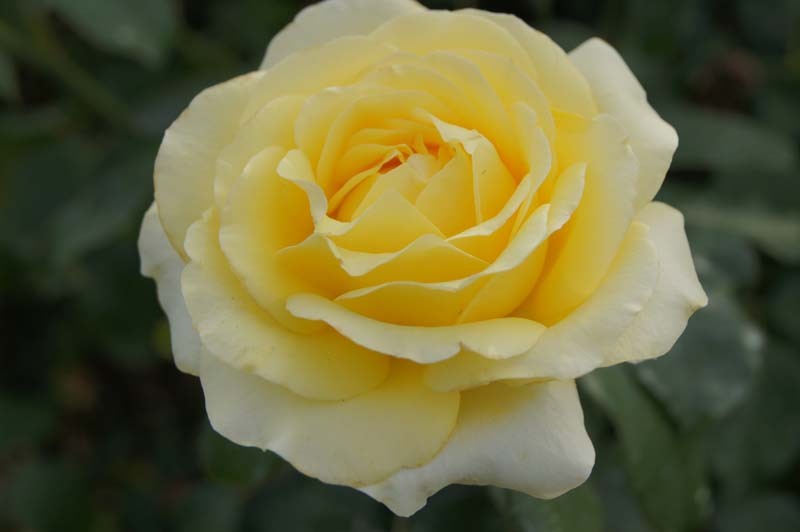 ‘Arlene’ is a full-petalled yellow Hybrid Tea that flowers prolifically and grows to head height as a neat, upright, dense bush. 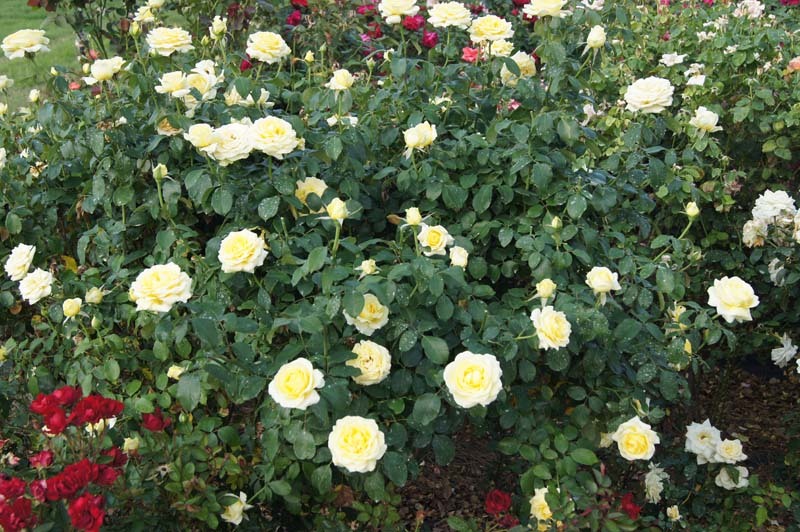 The medium sized blooms have a pointed urn shape, and the bush produces one bud at the end of each long stem, so one doesn’t have the bother of disbudding. 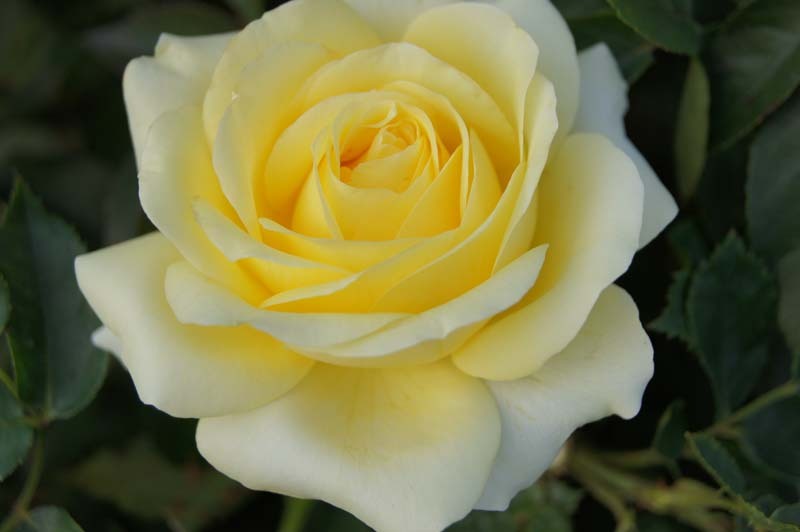 Cutting just a few blooms every few days will not diminish the show of flowers that ‘Arlene’ is capable of providing. The deep green, healthy foliage is an added attraction. 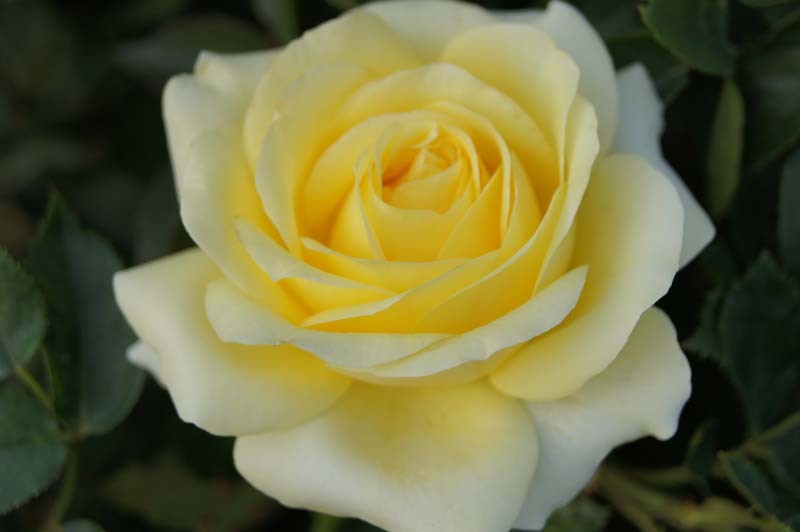 A story lies behind the name.Over the years I have been asked by a member of the Western Cape Rose Society to name a rose ‘Arlene’. Because I like the name and also admired the yellow ‘Arlene Francis’ (released in 1957) I agreed. 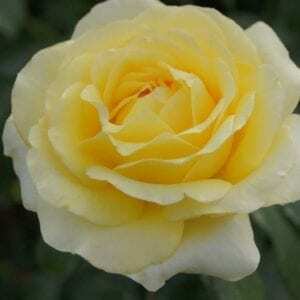 When I noted the continuous outstanding performance of our yellow ‘LUDtwosuns’, I decided that this is it.